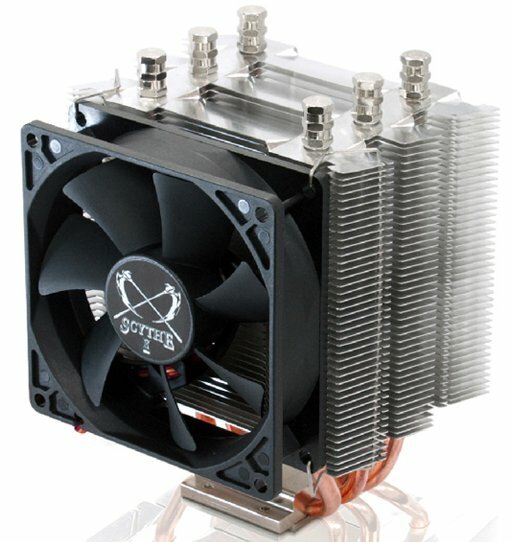 Scythe presents the Katana 4, a new budget cooler that will be sold in Europe for 21EUR (excl. VAT). 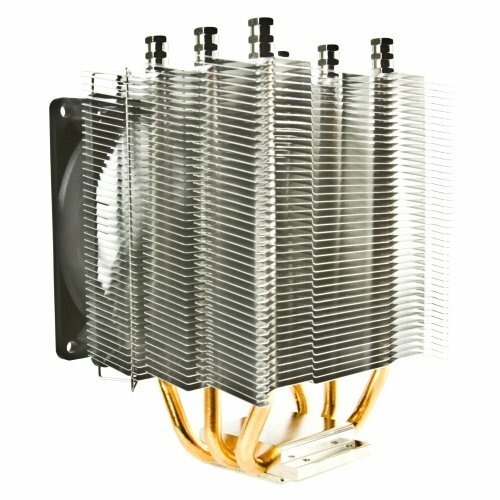 The cooler features a copper base, three copper heatpipes and an aluminium heatsink that is cooled by a 92mm PWM fan with a maximum airflow of 55.55CFM and max noise level of 31.07dBA. The cooler measures 100mm x 102.5mm x 143mm and weighs 480g with the fan included. It's compatible with Intel LGA2011, LGA775, LGA1155, LGA1156, LGA1366 and AMD Socket 754, 939, AM2, AM2+, AM3, AM3+, FM1 and 940 processors. The spirit of the japanese sword inspired the naming of our famous CPU Cooler Katana. Well known for its reliability and its tilted fin structure Katana 4, just like the japanese sword, looks back on a long tradition. The 4th generation stands out with its new, modern design combining key features of previous versions with design and efficiency improvements. The low height as well as the structure of the fins and the use of three heatpipes are adopted from its' predecessors. In addition the new design lays the foundation for higher cooling performance by providing larger cooling surface and the facility to mount a second fan. The Katana 4 is equipped with a 92 mm Slip Stream fan operated by the PWM signal of the mainboard, circulating at 300 to 2500 rpm. This combination enables virtually silent mode as well as overclocking, by providing sufficient cooling ressources for almost all environments. In accordance with Scythe customs, Katana 4 is compatible with all current sockets. Higher cooling performance is one of the characteristics of 4th generation Katana CPU cooler. The combination of 3 heatpipes, large fins and a PWM-controlled Slip Stream 92 mm fan ensures high-scale heat dissipation. A slightly angled fin structure, allows the airstream to hit the surface directly. Overall surface of the heatsink has been increased. As it is common practice for all Scythe products, Katana 4 provides maximum compatibility. All current sockets are supported. Furthermore, a new generation one-touch clip system is launched with Katana 4 excelling in user friendliness and durability. To be released in a completely new design, Katana 4 provides a new, modern look. The fan is situated right-angled to the motherboard and fins are tilted downward. Heatsink and Heatpipes are completely redesigned. Optical enhancements go hand in hand with practical improvements. Better cooling performance is one of them. The bias of the new design originates in one simple question. How to build a new, modern looking Katana-style CPU cooler, without sacrificing the compact dimensions of its predecessor. Katana 4 transports this idea into reality. The measurements are very similar to Katana 3, allowing, as before, the use in limited space environments.